The National Thoroughbred Racing Association announced today that The Westin Diplomat Resort & Spa has been named the Official Hotel of the 42nd annual Eclipse Awards, presented by Daily Racing Form, The Stronach Group and The Breeders’ Cup. The Eclipse Awards will be held Saturday, January 19, at Gulfstream Park Racetrack and Casino in Hallandale Beach, Fla. Located right on Hollywood Beach, just three miles from Gulfstream Park, The Westin Diplomat is currently reserving a discounted block of rooms for Eclipse Awards attendees at a group rate of $299 per night. Reservations can be made at a special, Eclipse Awards-dedicated web site by clicking here: The Westin Diplomat Resort & Spa. Eclipse Awards tickets are available for $375 each or $3,750 for a table of 10. For ticket purchases, please contact Michele Ravencraft of the NTRA at mravencraft@ntra.com, or call (859) 422-2657. Order forms for tickets are available at www.NTRA.com. Eclipse Charity Golf Tournament at The Westin Diplomat Golf Location in Hallandale Beach. Eclipse-eve Cocktail Party Under the Stars (admission included with Eclipse Awards ticket). Eclipse Awards are bestowed upon horses and individuals whose outstanding achievements have earned them the title of Champion in their respective categories. Awards also are given to recognize members of the media for outstanding coverage of Thoroughbred racing. 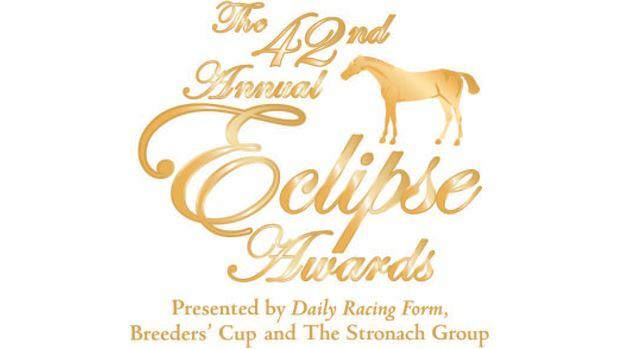 The Eclipse Awards are presented by Daily Racing Form, The Stronach Group and The Breeders’ Cup and produced by the National Thoroughbred Racing Association (NTRA). Eclipse Awards voting is conducted by the National Turf Writers and Broadcasters (NTWAB), the NTRA, Daily Racing Form and Equibase. The Westin Diplomat Resort & Spa, a AAA Four-Diamond rated resort, offers a refreshing way to unwind. Relax amidst beachfront surf and sand while you enjoy spectacular views of the Atlantic, the Intracoastal, the city or the golf course from a selection of 998 guest rooms and suites. Conveniently located between Fort Lauderdale and Miami airports, the resort offers an array of amenities including a full-service spa, 18-hole golf course managed by Troon Golf®, Marina and several restaurant options from an award-winning seafood and steakhouse to dockside dining at Rivals Waterfront Sports Grille to 24-hour in-room dining. At the beach location, the adjacent convention center provides over 200,000 square feet of flexible meeting and catering space including four ballrooms, a 50,000-square foot unobstructed Great Hall and 39 individual meeting rooms.